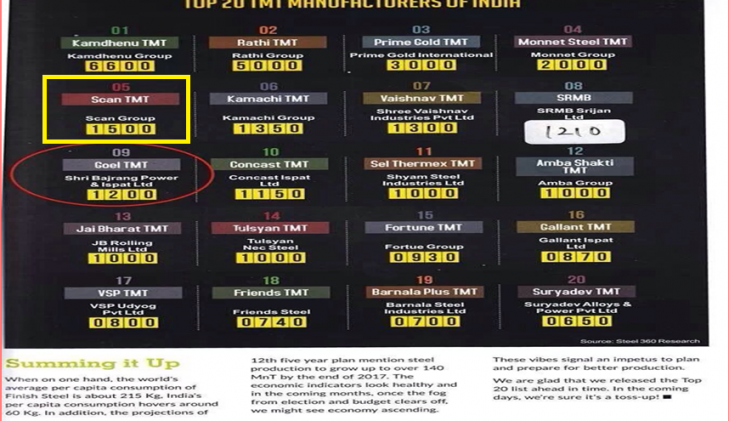 Among the secondary steel makers in India, Scan Steels Limited is ranked 5th among the top producers of TMT Rods in India. 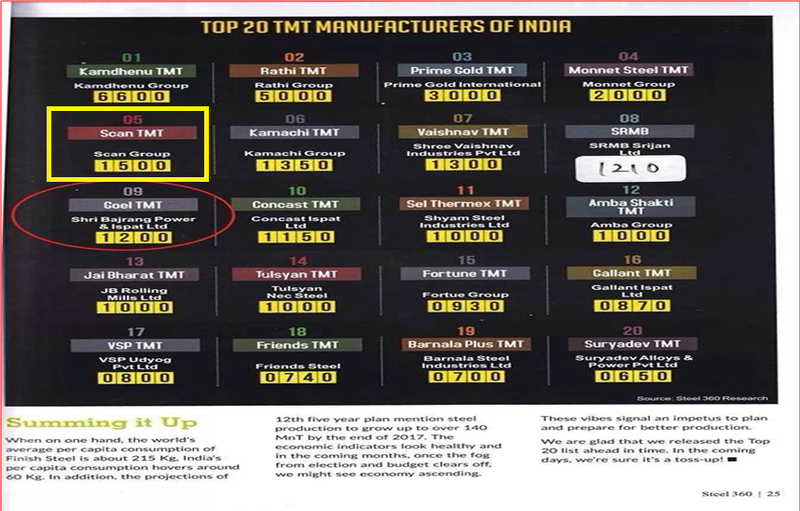 We take pride in this distinction and are striving hard to become one of the top 3 producers of TMT Rod in near future. 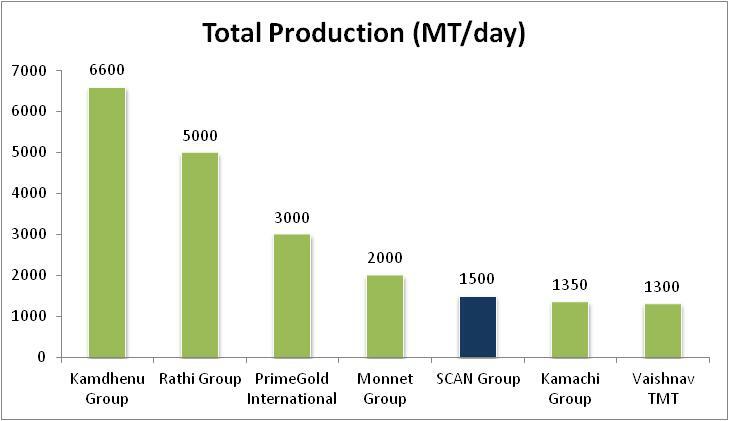 We have long believed that size and scale are vital, both to compete in a global market place and to manage supply. Over the years, the group, through meticulous quality control, has built a reputation for quality, reliability and integrity. We started more than 20 years ago and grown into an organization with established manufacturing facilities at multiple locations with ultra modern facilities and an exceptional team. The group works hand in hand to produce the finest steel products with a focus to fit client’s requirements.